When Shashank asked me whether I want to join him for a bird shooting @ Manchanabele, I immediately said yes. Eventhough I didn’t had proper equipment to shoot birds, I joined him as it had been a long time since I went out on a bike ride. 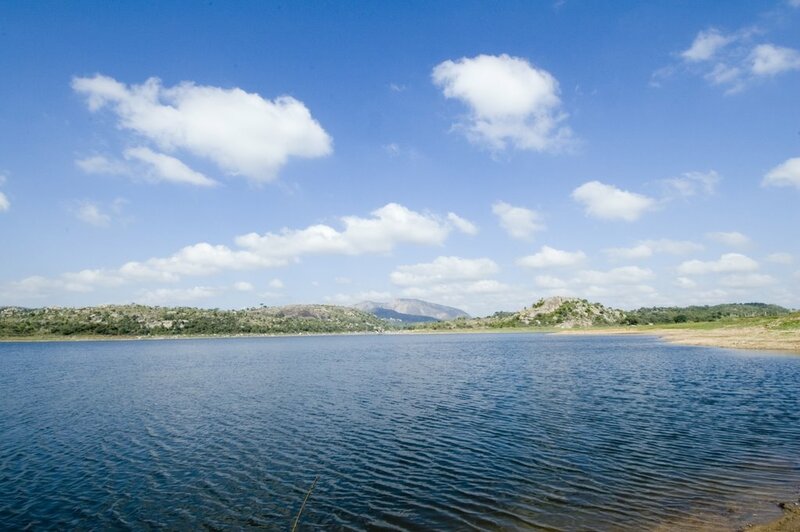 Its a less known, small water dam approximately 40-45KMs from Bangalore and the dam is built across river Arkavati. This is a nice place for bird-watchers with plenty of resident and few migratory birds. On that lovely Saturday morning (11th Nov, 2006), we started off around 6.30 on two bikes – Shashank on his Fiero and me on my Pulsar. 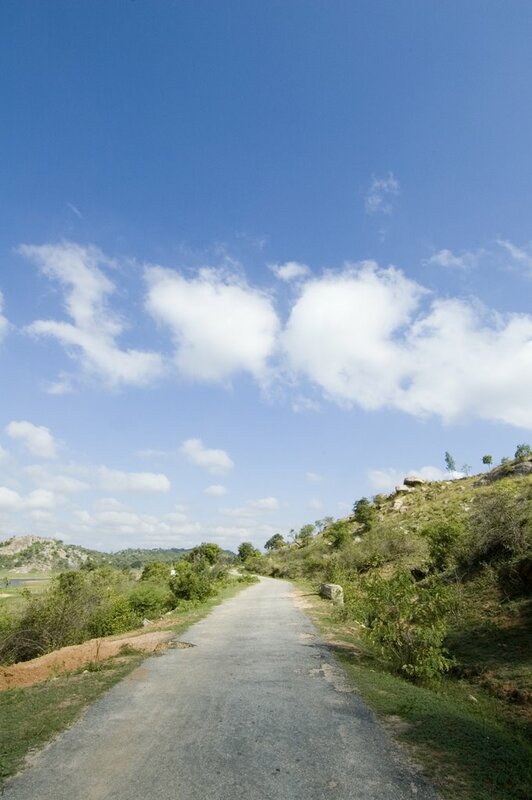 Soon we were rolling on beautiful Mysore road (SH17). On the way we bought snacks & water for breakfast as no food is available at the dam so early. Took a right near Rajarajeshwari Dental college which leads to the famous ‘Big Banyan Tree’. When wereached the banyan tree, not many visitors were there as it was too early. We proceeded toward Manchanabele, which is another 8-10KMs from Banyan tree. We reached the place around 8AM, with few stops on the way to shoot birds. It was a great learning experience for me. Birds watching and their life was kind of totally new world to me. Shashank was patient enough to answer my queries and stupid questions. Except for one or two Brahminy Kite shots, I was just a bird watcher and watching Shashank capturing birds. We stayed there till 2 in the afternoon. And took the same route to reach home back exhausted, but content with the day’s learning & experience. Here are some beautiful, awesome photos captured by Shashank on that day. The lake looks very quiet and serene. Hmm, lot of spam here Prashanth. And absolutely loved the third picture. Those pictures esp the lake were absolutely refreshing prashanth… such unbelievably lovely shades of blue of the lake and the sky! Was nice to read about your day as well. I’ve gone to doDaalad mara sometimes but didnt go till Mandhanabele Dam (also the road from there was very discouraging), won’t miss it next time! been in bangalore for so long and had not heard of this place. nice blog and lovely pictures! I’ve been in Bangalore almost all my life and I haven’t heard of this place… so I now have my next instant weekend getaway! We had been to Manchina Bele Dam this weekend and We had the most horrid experience there! Short answer – We got robbed! Best of all, people who claim to be security guards did that. All we were doing is just taking some pictures of the scenic view and just walked nearer to the Dam. We felt that scene was nice and took some more snaps. 2 more guys came and taking some random pictures. Then suddenly 2 localites with sticks (claimed to be security) came to us and started abusing in very bad language. They snatched our expensive cameras and started to push us around. We were four and they started threatening to beat us and said no one should come to that area. We saw, there was no board that said so and we offered to delete photos if we were not supposed to take. They didn’t listen to us and Started abusing badly and they held our hands. We didn’t know what to do and later they asked money. They took 500Rs and quickly went away giving us some gyan saying you should take permission etc etc. All said done is, Manchina Bele is not safe and Dam employees themselves are robbers. When you enter Manchina Bele Dam area, there is a board that warns you of robbers. No wonder, Dam security and may be some localites are robbers and they are on the prowl to extort money. We had to pay 500Rs to get our Cameras back. Worst place! Adding this comment for others to be careful! looking nice for bird watcher, if you are interested another place for bird watching then Karnala (Near Mumbai) is best one.